Dr Boes’ emphasis lies on developing a solid foundation of knowledge and the ability to apply it. While tutoring he noticed that many students struggle with exam revision. They try to memorize too much in too short a period of time. They understand the need to summarize the facts, but are unsure how to do this. Revision guides are a great place to start, but still contain too many explanations. Dr Boes looked around for revision cards, but could not find anything suitable. Hence, he created his own, incorporating his extensive knowledge of exam questions, to present the essential facts in an easy to memorize form. He provided them to his students, who used them very successfully in their exams. Many of them went on to study medicine. They have now been published as books, so other pupils can benefit from them. 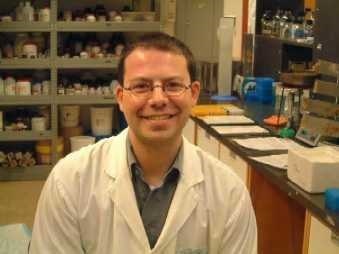 This picture shows me in a laboratory at the BC Cancer Research Centre in Vancouver, Canada. 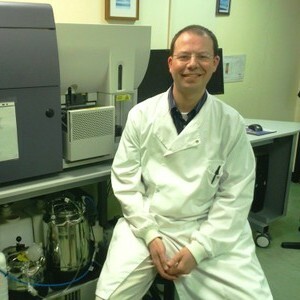 I have worked for 18 years in high profile labs in scientific research all over the world including Tübingen (Germany), Hamburg (Germany), Cambridge (UK) and Leicester (UK). During this time I have taught university students and supervised Masters and PhD students. My scientific expertise includes Biochemistry, Microbiology, Molecular biology, Protein chemistry, Chemical Analytic and Genetic Engineering. I am now a professional online Chemistry Tutor.